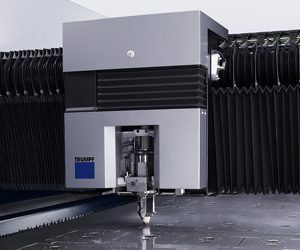 Considerable investment has been made in our Trumpf sheet metal processing equipment. Our high accuracy laser cutting machine allows us to cut various materials to customer specifications and within fine tolerances. Set up times are minimal taking component from design through to manufacture through our latest software. The Trumpf Trumatic 200 Rotation machine supports fast operating times and fast set-up offering high productivity and flexibility. The equipment combines proven punching / nibbling techniques with forming therefore minimising additional component handling.